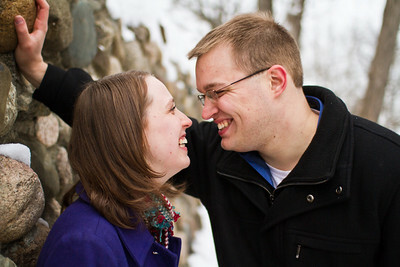 Just before Christmas I met up with Louise and Alex, who will be getting married next July. They wanted to get their engagement photos taken while they were in town, so I started brainstorming some great winter locations. 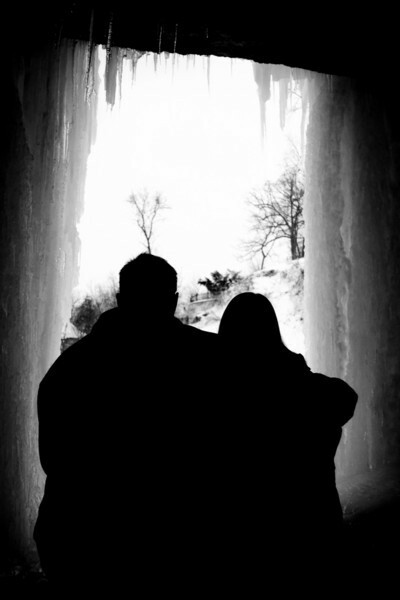 When I suggested behind the frozen waterfall at Minnehaha Park, they jumped at the chance! They made the short but steep and slippery hike to the cavern with minimal fuss, and we got started. It's actually pretty warm behind the falls, since you're out of the wind, so we were able to work comfortably and get some awesome stuff. Louise and Alex were both having a great time and loved the location, so we shot some stuff outside the falls and around the park as well.